Need a good snack? 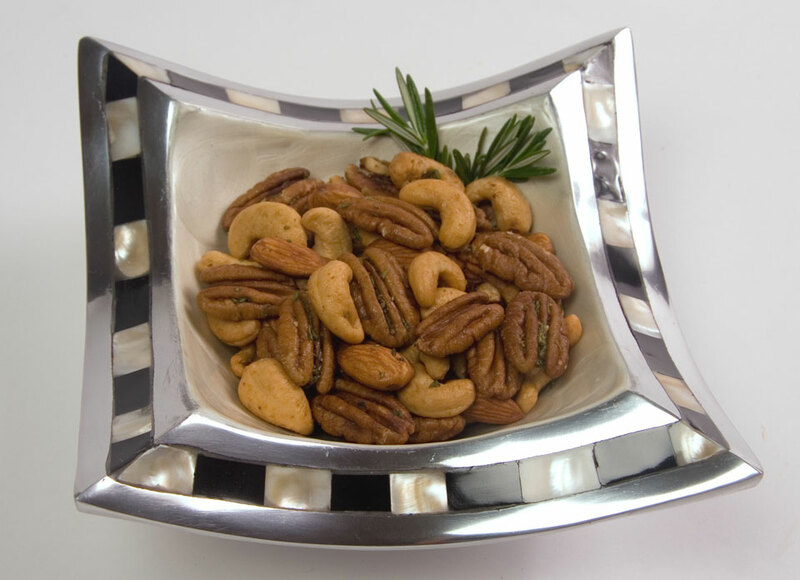 For after-school, or tailgating nibbles, these spicy nuts are positively addictive! Use only almonds, or a variety of nuts, to provide a great protein source for a quick pick-me-up. Package in a clear cellophane bag tied with a bright ribbon for a perfect hostess gift! Spread nuts on an ungreased baking sheet and bake for 10 to 15 minutes at 325°, stirring occasionally. Remove from oven; cool slightly. Beat egg white until frothy. Add brown sugar, salt, cayenne and rosemary. Blend. Stir in nuts and coat well. Place nuts back on baking sheet and return to the oven. Bake for about 15- 20 minutes or until golden. Cool and store in an airtight container. Yummy!